I am by no means a wine aficionado, but I have recently started to explore the world of wine more. Having a pretty extensive knowledge of coffee, I've realized how similar the two are since they're both agricultural products, after all. Depending on growing regions and conditions, varietal, and even neighboring indigenous crops, both wine and coffee take on different flavor characteristics. Flavors for both can range anywhere from deep and nutty with hints of chocolate and cocoa to light and fruity with bright pops of citrus. 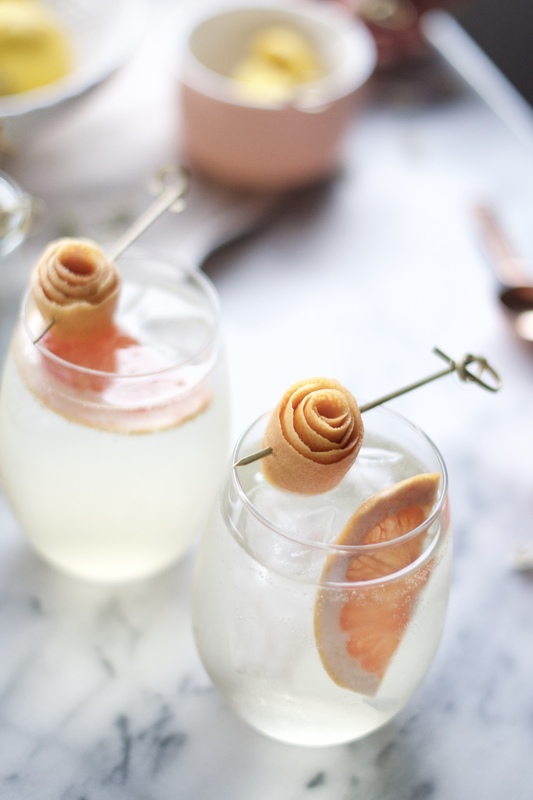 I wanted to ring in the arrival of Spring with a fun and simple cocktail so I thought a wine spritzer would be the perfect answer. Now, hold on before you roll your eyes. Wine spritzers get a bad rap. They're not just for moms, or the 80's. I'm personally a fan of any effervescent cocktail so I say embrace it! As long as you use some kickass ingredients, you'll end up with something delicious and refreshing. I decided to go with a gewürztraminer: a light white wine with flavors of rose, sweet stone fruit, and grapefruit notes. The addition of rosewater and a squeeze of lemon is a little unexpected and really makes it special. Give it a try! Cheers! 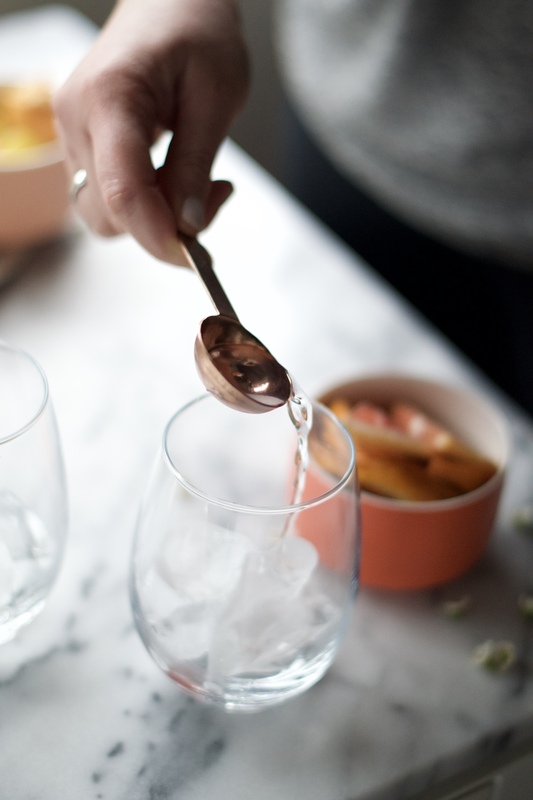 Add ice and rosewater to a wine glass. Pour in gewürztraminer, sparkling water, and lemon juice. Finish with grapefruit slice and peel. To make the grapefruit peel rose, peel a long strip of the grapefruit rind using a paring knife, about 1 inch in width and 5 inches in length. Roll the peel in a tight spiral and secure with a toothpick or skewer. * All photos except 1, 10, and 11 were taken by the lovely and talented Krista Fredricks! Check her out here!